While BLACKBIRDS continues to attract widespread critical acclaim, this evening’s show was a timely reminder of how brilliant HELLO CRUEL WORLD was and more importantly still is. This renaissance period of Gretchen Peters’ career in making these two fantastic records is spoiling fans across two continents as she continues to inject inspiring shots of fine musicianship into a rich song writing emporium spanning a lifetime. The power and emotion of the new record will without doubt have its day in the live arena in good time, thus spawning endless spine tingling moments such as savoured this evening when being totally absorbed by ‘Five Minutes’, ‘Idlewild’, ‘The Matador’ and ‘Woman on the Wheel’, all from the 2012 outstanding album. Much comment has been made of Gretchen’s 20 year love affair with UK audiences and the advancements made since. Even in the last decade the numbers attending her Midlands shows have more than doubled as she has progressed from several intimate gigs at The Robin in Bilston to tonight’s prestigious appointment at Birmingham Town Hall. Likewise the stage show has expanded in presence from just Gretchen with her guitar to this tour’s four-piece band. The piano and accordion playing of Barry Walsh has recently become a permanent fixture and it was a pleasure to once again be seduced by the sound of Christine Bougie’s lap steel guitar adorning both old and new songs. The progression on this tour was to enlist the services of Co. Down resident Conor McCreanor to cement the backfield with contributions on stand up and electric bass, also allowing Christine to periodically add percussion via a full drum kit. The ambitious booking of Birmingham Town Hall paid off with a highly credible turnout and as expected by many locals, the luscious sonic surroundings suited Gretchen’s beautiful songs to a tee. Upon returning from the interval Gretchen temporarily shifted Barry off piano to deliver an awe inspiring, and fast becoming standard, slowed down version of ‘Independence Day’. 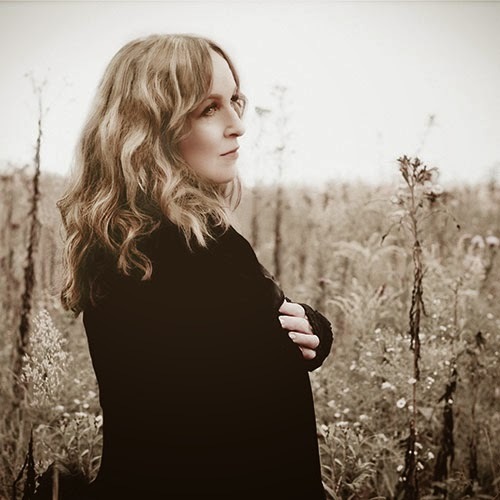 On an evening focussing intently on Gretchen Peters post-2012, the only other delve into the back catalogue was the expected airing of ‘On a Bus to St. Cloud’, neatly located as the encore lead off song. To round off a night easily living up to the high pre-show expectations, Gretchen lightened the atmosphere with a full band rocking version of Rodney Crowell’s ‘I Ain’t Living Long Like This’ and a jovial duet with Barry on the John Prine witty classic ‘In Spite of Ourselves’. Intensity was definitely a theme for the opening set as Gretchen reeled off a near succession of tunes from the new album, unsurprisingly starting off with the title track ’Blackbirds’. Almost apologetically Gretchen commented on things getting better with this dark murder ballad out of the way which was not necessarily needed as the strength of the new record is in its raw and impassioned take on mortality. All but two tracks from BLACKBIRDS made their live Midlands debut and for me the sheer brilliance of ‘The Cure for the Pain’ made it the stand out song from this collection. As per usual Gretchen oozed with inter-song humility, appreciation and informed musings as typified by living up to the stereotype of burning houses in ‘The House on Auburn Street’ and the remembrance of forgotten victims as detailed in ‘Black Ribbons’. With the sound of Barry’s piano playing becoming a pivotal part of Gretchen’s musical direction, he also took the opportunity to showcase his latest solo record SILENCIO and along with Connor and Christine duly entertained everybody with an instrumental titled ‘October Waltz’. Both Barry and Gretchen have been involved with Tom Russell’s upcoming major musical project and their friend was duly remembered with a version of ‘Guadalupe’, increasingly becoming a regular and popular live number. While there are a significant number of people who have supported Gretchen’s UK adventures since their inception in the 1990’s, it is still an honour to witness the continual evolution over the last decade which has incredibly accelerated in recent times. 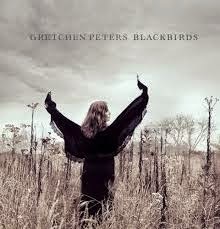 The magic is going to be in watching and listening to the songs on BLACKBIRDS develop in their own live way and ultimately lead to Gretchen Peters raising that barrier of accomplishment even higher. It’s a challenge she continues to succeed at and many people are appreciative of her approach and take on music.